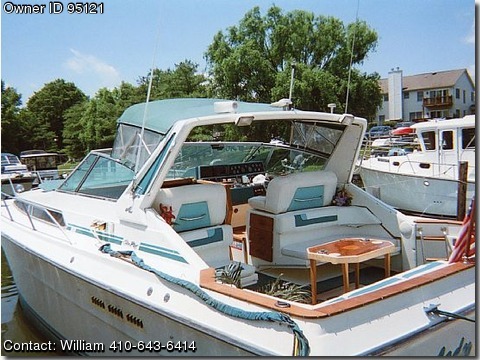 Call Boat Owner William 410-643-6414. Basic Decription: Exquisite condition with custom interior in 2005. 14 ft. beam provides ample interior and aft deck space. Master cabin and auxiliary cabin, salon, full galley head with separate shower.